At the Irrational Games panel at PAX East today, the team behind BioShock Infinite talked about the challenges of player agency in the game specifically when interacting with Elizabeth, the player's constant companion. 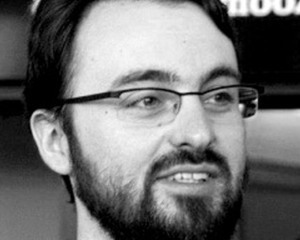 "The player can be a psychopathic alcoholic because we don't know what the player is going to do," says creative director Ken Levine. "You have to embrace that lunacy, if you fight it and you lock the player in place... it's not the player's game, it's our game -- but it has to be your game." Part of the struggle of the development process was making Elizabeth not just a static robot. Progammer John Abercrombie spoke about how simple movements kept the player engaged with Elizabeth: "We looked at the way partners moved together... so when you're going some place she has a good idea of where you're going." Part of Elizabeth's believability is down to the combination of Courtnee Draper's vocal performance and Heather Gordon's mo-cap performance but there's another aspect that's much more subtle. Level designer and "Liz's brain" Amanda Jeffrey explained it's all in the eyes. 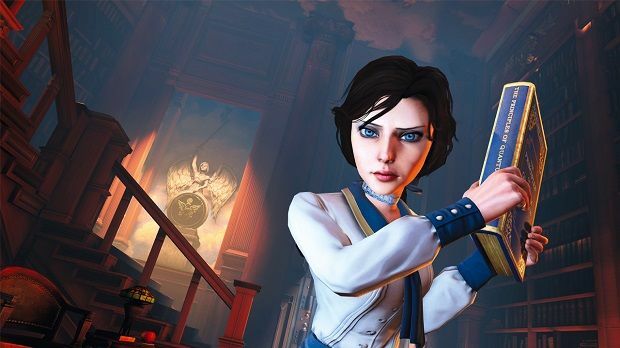 "Every time we were trying to make Elizabeth a better character to experience the game with, so generally the first thing we did was making her awareness of the world absolutely impeccable. She has these incredible eyes that she can see the world in a completely different way, Liz can see what's important to her." An example was shown of two large portrait of a regal-looking woman; one on the left looked like a regular painting but the one on the right was covered in eye icons that show how important it is to Elizabeth. Amanda also pointed out that Elizabeth would still keep up with the player as he's controlling Booker DeWitt so no matter how eye-catching something might be, she won't be far from his side. 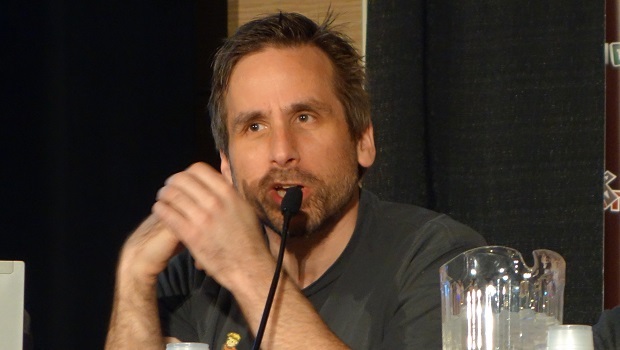 Ken mentioned at some points there was suggestion of taking Elizabeth out of the game because it was becoming so hard to program her to a level that BioShock Infinite deserves.